So here we are in the midst of winter. Fresh off the back of another year we turn our attention to the impending months and whatever they may bring, good or bad. But before that, let’s take a look back at December’s forum competition results. I must say that, as was the case with the previous round, I found this round incredibly hard to judge. Every submitted image had its own virtue in one way or another. But the rules state that I must whittle the images down to a shortlist and select a top three. Here we go then. Special mention goes to Ephemeral with Ice Forest. This is a most unusual shot and one that definitely stood out for me. In fact, if I was in a position to select a top four rather than a top three I rather think this image would take a spot. The depth of field is perhaps what makes it so appealing. It gives the image a haunting quality. There’s also something oddly otherworldly about it. It looks like it was taken in another time and place. provided by Manfrotto. 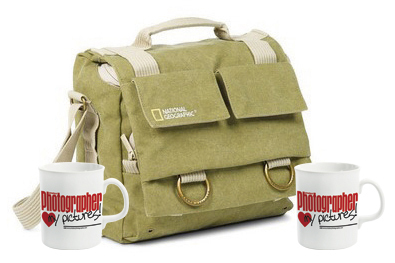 Runners-up will each receive an ‘Amateur Photographer Loves My Pictures’ mug. more than just a standard landscape image. shape of the fairground ride, which made me think of a dandelion. regardless. I can’t help but make the association. This is most certainly an unconventional approach to a familiar and well-worn scene. Snowballs fights are a part of most childhoods so how do you take a unique visual approach when photographing it? You go nuts and create something defiantly abstract. It’s a great shot. Even though we understand what we’re seeing it’s still a lot of fun getting in closer to identify each and every element and how it relates to what we know we’re witnessing. The light, the trails of snow, the movement and position of the bodies all work perfectly. It’s a lovely shot and one to be proud of. Winter scenes offer us the opportunity to toy with minimalism. It can come in the form of a distinct lack of colour or in the season’s ability to render the landscape as a series of basic forms and shapes. Here we have both. Photography doesn’t have to be about how much you can cram into an image – it can also be about space. I’m actually very fond of images that are able to utilise empty space effectively. 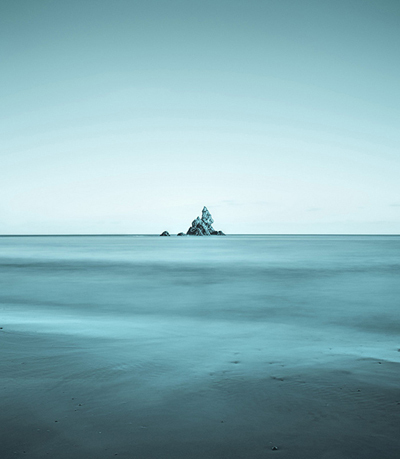 Here Hazzatori has given us a great demonstration of how emptiness can be a visually exciting element. It’s a nice decision to have the subject so far away in the distance. It creates a level of intrigue. I want to travel there and see the iceberg up close. But of course I can’t. It remains so far away, always out of reach. The visual virtues of this shot are obvious, I think. It’s a nice decision to hold the focus on the mountains in the distance. Most of the time we hold things in focus in order to draw attention to them. With that in mind we should be focusing our attention on the background. In actual fact it’s had the opposite effect here – it actually places our attention firmly on the out-of-focus trees in the foreground. Seeing the background in this way makes it seem almost foreboding – there’s something intimidating about it. 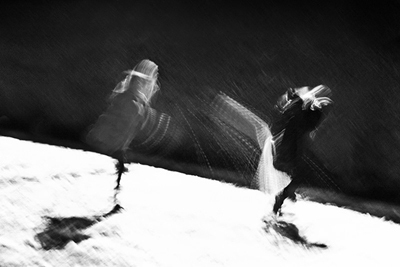 The title of the image of course refers to the fact that Miked has shot his image using a slow shutter while moving past the scene. 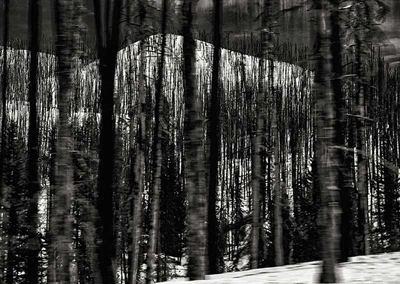 Shooting it in this way lends a stark and eerie quality to the shot. It brings to mind the trend for Scandinavian noir we’ve seen in many books and films recently. Anyway, this is a genuinely interesting image and a great closer to 2013.